England manager Roy Hodgson has rejected talk of a rift with Liverpool over injured striker Daniel Sturridge. Sturridge, 25, is not in Hodgson's latest squad after suffering a thigh strain on England duty last month. Reds boss Brendan Rodgers criticised England's handling of the player, and did not want him to be called up for games against San Marino and Estonia. "It's simply a fact, an unfortunate fact, that he's not recovered," Hodgson said of Sturridge's absence. "There's no problems or conflict there at all." "In the almost two and a half years Roy Hodgson has been in this job, he has nimbly and diplomatically avoided club versus country confrontations. Here, over Daniel Sturridge, he moved to head this one off at the pass by speaking with Brendan Rodgers over the matter on Wednesday. "Almost his first public utterance on naming his Sturridge-free squad was to declare there were 'no problems, no conflict at all' between England and Liverpool, and that there was no question of him having to do any manoeuvring. "However, with four Liverpool players in this squad, besides the absent Sturridge and the injured Glen Johnson and Jon Flanagan, Hodgson must know how much England needs Liverpool to be kept onside." Sturridge has missed Liverpool's last six games but there is a chance he could return on Saturday, against West Brom in the Premier League. But Rodgers said he would not be able to play in the Euro 2016 qualifiers with San Marino on Thursday, 9 October and three days later against Estonia. "I've had good communication with Roy and we spoke at length on the situation," said Rodgers, whose side were beaten 1-0 by Basel in the Champions League on Wednesday. "It was amicable. There is no issue. "We had agreed it was probably too soon for Daniel to meet up with England irrespective of whether he was involved this weekend or not. "Every individual player is different. I respect he (Hodgson) had work to do internationally but my thoughts are with Liverpool players and what their needs are. "Daniel hasn't trained with the team at all since the injury with them and it was probably not the right time to go with them. "I've not spoken to Daniel. My focus is on Liverpool, it is not on England. I spoke to him about being available for Liverpool but I can't think about England when he is not ready to play for Liverpool." 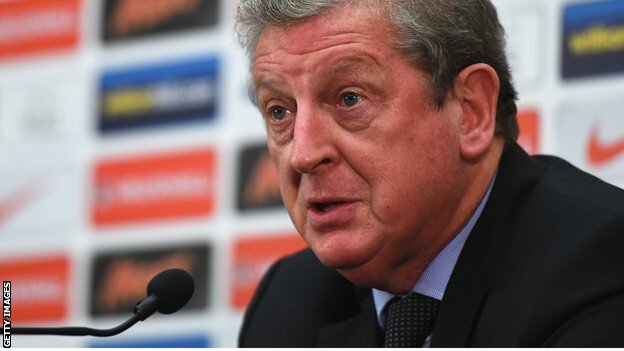 Hodgson said there had been "no question" of selecting Sturridge for the double-header. "He's not played for Liverpool at all since picking up the injury with us. As I understand it he's still got some work to do before he's fully fit," Hodgson said. "It's a great blow to us, Liverpool and the player, because he was anxious to be a part of these two games." Sturridge has made 16 appearances for England since making his debut almost three years ago, scoring five goals - his most recent coming in the 2-1 defeat by Italy at the World Cup in June. England won their opening Euro 2016 qualifier 2-0 against Switzerland last month.